Once again, I’m brooding over science’s limits. 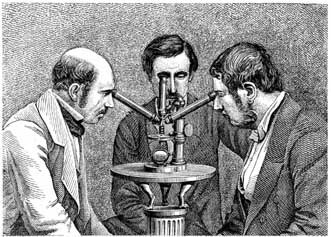 I recently posted Q&As with three physicists with strong opinions on the topic–David Deutsch, Marcelo Gleiser and Martin Rees–as well as this column: “Is Science Infinite?” Then in March I attended a two-day brainstorming session–which I’ll call “The Session”–with 20 or so science-y folks over whether science is slowing down and what we can do about it. The Session was inspired in part by research suggesting that scientific progress is stagnating. 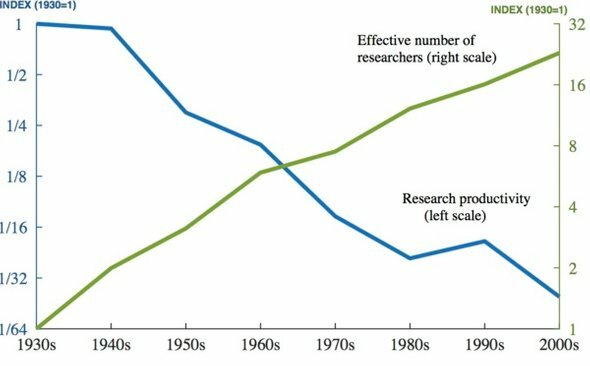 In “Are Ideas Getting Harder to Find?”, four economists claim that “a wide range of evidence from various industries, products, and firms show[s] that research effort is rising substantially while research productivity is declining sharply.” The economists are Nicholas Bloom, Charles Jones and Michael Webb of Stanford and John Van Reenen of MIT. As an counter-intuitive example, they cite Moore’s Law, noting that the “number of researchers required today to achieve the famous doubling every two years of the density of computer chips is more than 18 times larger than the number required in the early 1970s.” The researchers found similar trends in research related to agriculture and medicine. More and more research on cancer and other illnesses has produced fewer and fewer lives saved. These findings corroborate analyses presented by economists Robert Gordon in The Rise and Fall of American Growth and Tyler Cowen in The Great Stagnation. 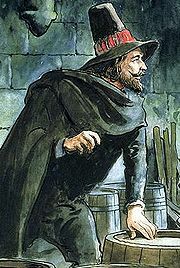 Bloom, Jones, Webb and Van Reenen also cite “The Burden of Knowledge and the ‘Death of the Renaissance Man’: Is Innovation Getting Harder?”, a 2009 paper by Benjamin Jones. He presents evidence that would-be innovators require more training and specialization to reach the frontier of a given field. Research teams are also getting bigger, and the number of patents per researcher has declined. John Horgan unpacks some of the dynamics that lead him to his gloomy conclusion in “Is science hitting a wall?” It’s a fascinating, illuminating, and eminently worth the read… even if in the end it’s unconvincing, to your correspondent at least. * a quote widely– and incorrectly– attributed to William Thomson, Lord Kelvin, circa 1900. It is actually a paraphrase of aa 1894 statement made by another great physicist, Albert A. Michelson. 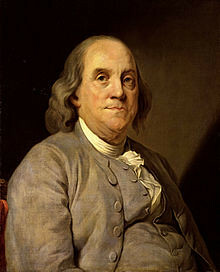 As we ponder progress, we might spare a thought for Benjamin Franklin; he died on this date in 1790. One of the Founding Fathers of the United States, Franklin was a renowned polymath: a leading author, printer, political theorist, politician, freemason, postmaster, scientist, inventor, civic activist, statesman, and diplomat. As a scientist, he was a major figure in the American Enlightenment and the history of physics for his discoveries and theories regarding electricity. As an inventor, he is known for the lightning rod and the Franklin stove, among other innovations. And as a social entrepreneur (who grasped the fact that by united effort a community could have amenities which only the wealthy few can afford for themselves), he helped establish several institutions people now take for granted: a fire company (1736), a library (1731), an insurance company (1752), an academy (the University of Pennsylvania, 1751), a hospital (1751), and the U.S. Postal Service (starting as postmaster of the Colonies in 1753, then becoming U.S. Postmaster during the Revolution). In most cases these foundations were the first of their kind in North America. Just suppose that Darwin’s ideas were only a part of the story of evolution. Suppose that a process he never wrote about, and never even imagined, has been controlling the evolution of life throughout most of the Earth’s history. It may sound preposterous, but this is exactly what microbiologist Carl Woese and physicist Nigel Goldenfeld, both at the University of Illinois at Urbana-Champaign, believe. Darwin’s explanation of evolution, they argue, even in its sophisticated modern form, applies only to a recent phase of life on Earth. As we remember that what has changed can change again, we can read the whole story here. Happily a quarter of a tank should be good for hundreds of thousands (if not millions) of years.